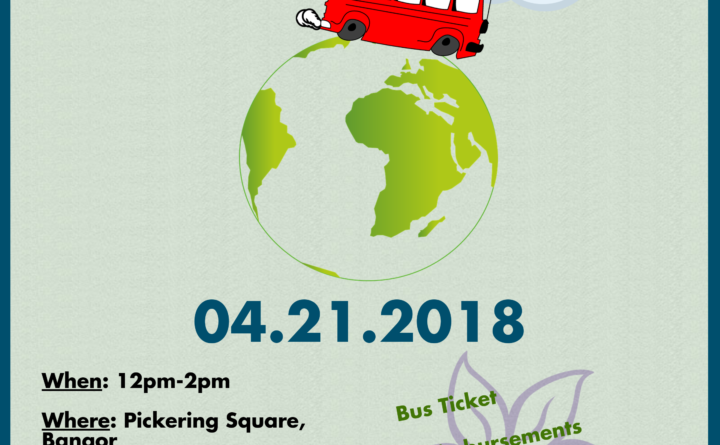 UMaine’s Office of Sustainability, UMA-Bangor’s Office of Student Life, Transportation for All, and the Peace and Justice Center are throwing an Earth Day Festival as part of Earth Week! This zero-waste event will feature fun and educational activities for everyone from kids to adults. Activities include: electric vehicle test rides, make-your-own seed bombs, a clothing exchange, and tons of local treats. Experts in the energy field will be present to teach participants about energy efficiency and clean energy in Maine. Bus ticket reimbursements will be available upon request!